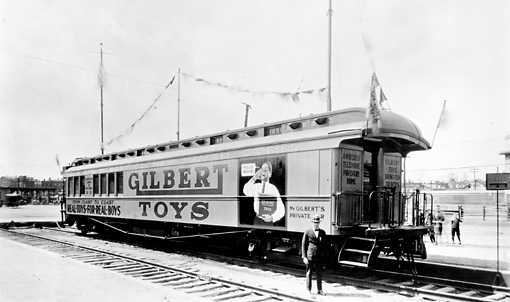 Gilbert Toys railroad car, date unknown. (Gilbert Family Collection. Copy and Reuse Restrictions Apply).